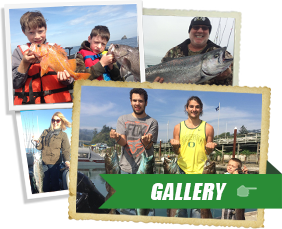 Long known for its excellent rockfish and lingcod fishing, the Port of Brookings, Oregon, offers easy access to some of the best charter fishing on the entire West Coast. Because the jetties at the mouth of the Chetco River face due south, Brookings is protected from the northwest swell common on the Oregon Coast, making what is known as one of the safest bar crossing on the entire West Coast. The weather out of Brookings also is often much calmer than harbors to the north. 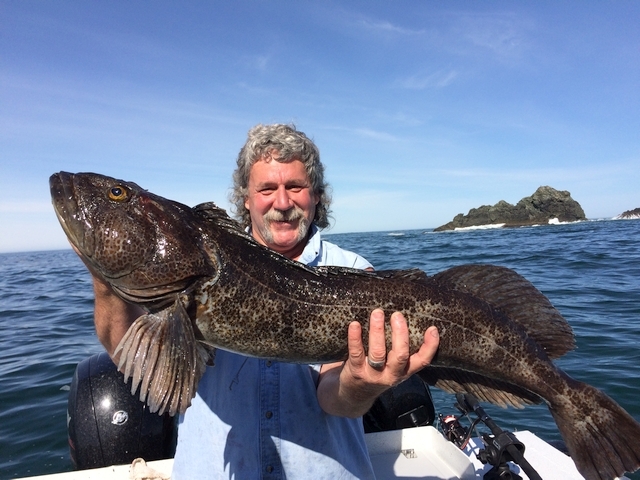 The lingcod and rockfish populations are thriving out of Brookings, and seldom-fished reefs are just minutes from the harbor. Lingcod come into shallow waters to spawn in March, April and May, producing excellent action for the great-tasting fish. Rockfish, also known as snapper, rockcod, sea bass and black bass, are caught year round. We also catch halibut, when in season, as well as cabezon. Bottom fishing charters are especially popular because the fish are among the best-tasting for making fish and chips. Lingcod and rockcod have a firm, white flesh that is prized for its great taste and flavor. 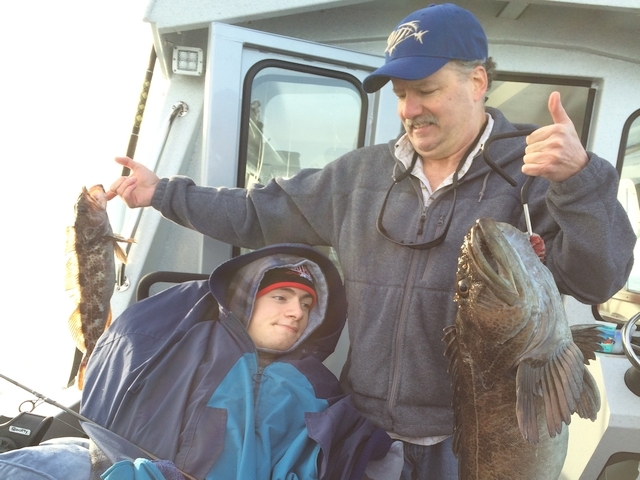 Brookings Fishing Charters use light tackle to catch rockfish and lingcod. Our boats are among the fastest in the Brookings charter fleet, meaning you spend less time travelling to the fishing grounds and much more time fishing. We also cater to smaller groups, which allows you to have a much more personalized experience. The Miss Brooke, a 29-foot heavy-gauge aluminum boat, is the only â€œsix packâ€� charter in Brookings custom made to be a guided sportfishing vessel. It is designed to comfortably fish six anglers, get to the fishing grounds quickly, and provide a safe, fast ride. Capt. 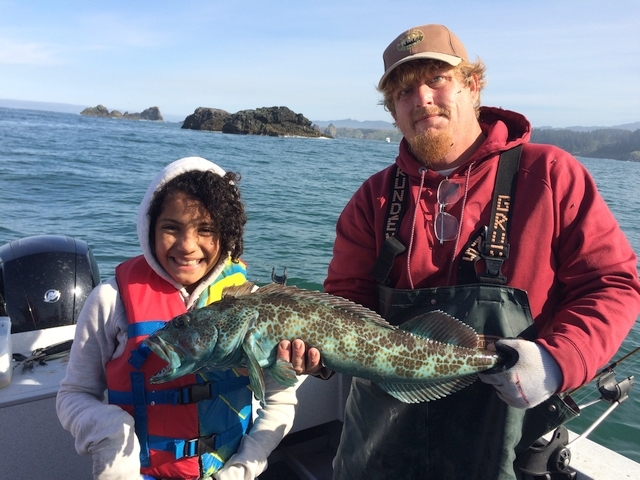 Andy Martin of Brookings Fishing Charters has guided anglers for lingcod, rockfish, salmon and halibut in Oregon and Alaska and knows how to quickly find schools of fish, and get them to bite. 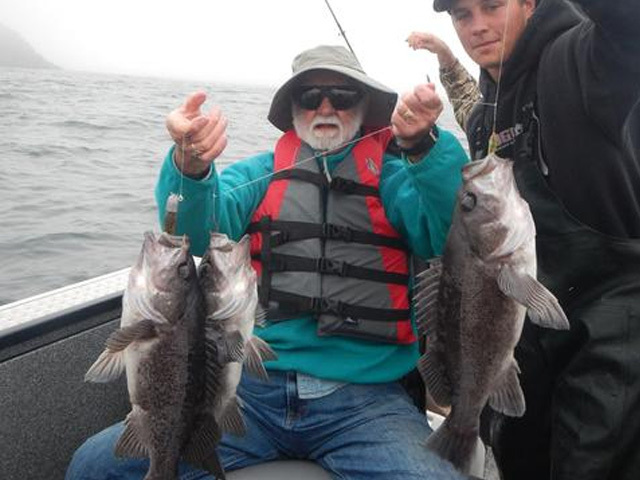 We fish for quality fish, large rockfish, limits of lingcod, using light tackle. 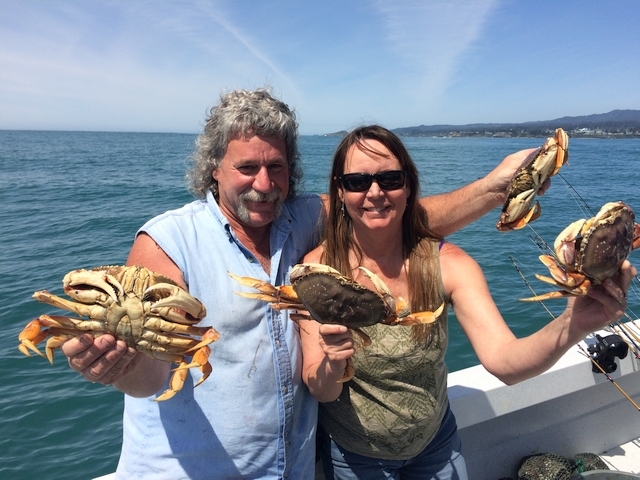 The light tackle experience, and our willingness to travel to reefs that get less fishing pressure than those closest to the harbor, have made Brookings Fishing Charters one of the favorite fishing excursions on the Oregon Coast. We often fish near House Rock, Mack Arch and Whaleshead Island, areas that are beyond the range of some of the charters based in Brookings. 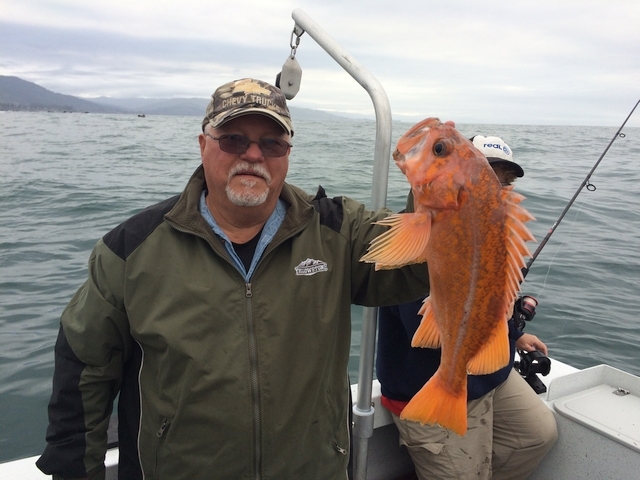 Rockfish trips generally run 4 to 5 hours. 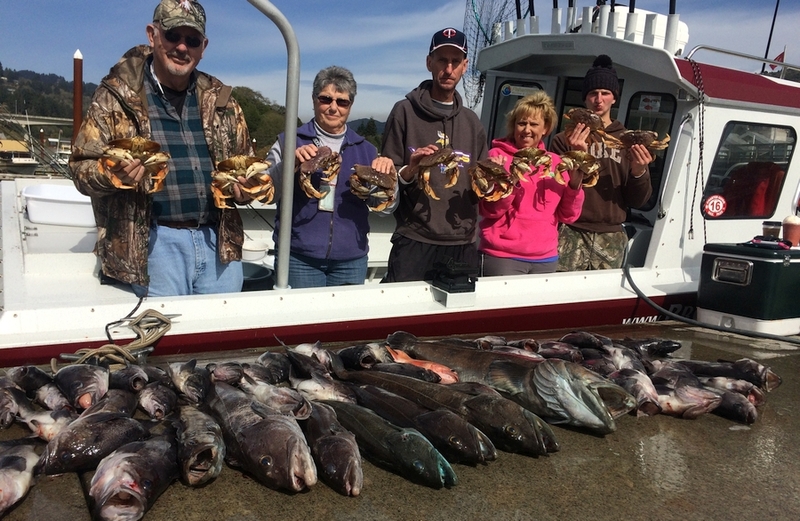 Our most popular trip, the half-day bottom fishing trip is 4 to 5 hours long. 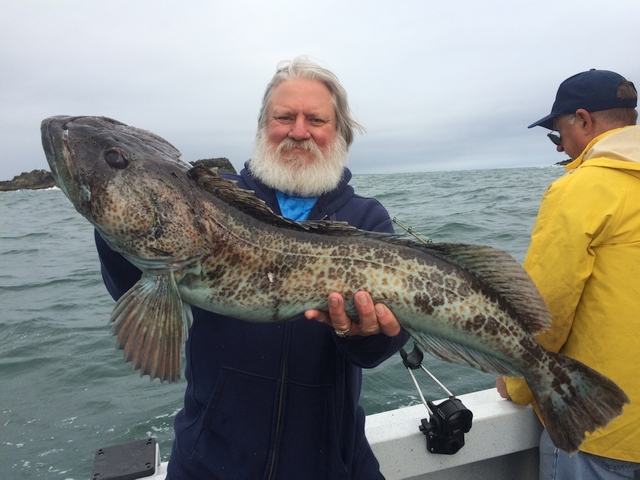 During this trip, which takes place in near-shore waters of the beautiful Brookings coastline, we typically catch Black Rockfish, Blue Rockfish, Canary Rockfish, Lingcod, Vermilion Rockfish, Cabezone, Sea Trout, China Rockcod, Quillback Rockfish and Copper Rockfish. We use light spinning tackle with shrimp flies or plastic grubs. 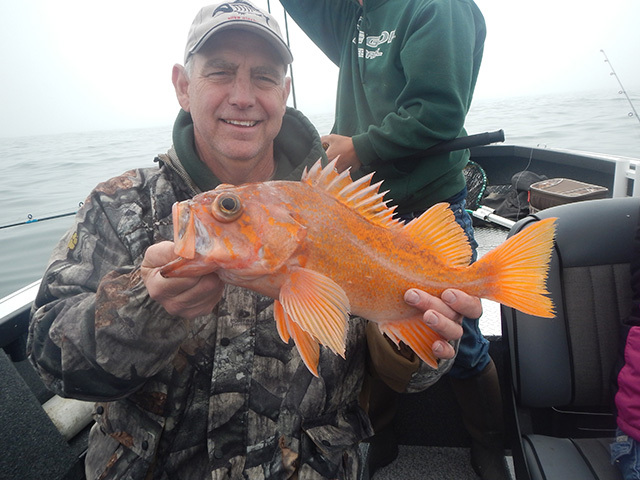 Limits of rockfish are common. 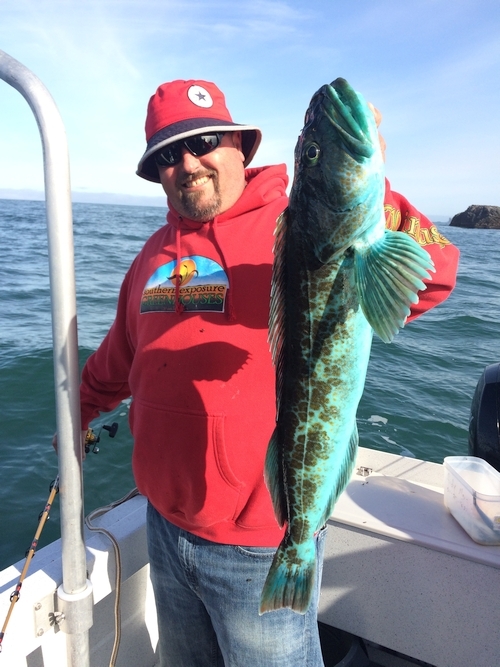 We also usually catch some lingcod on these trips. These trips take place in 50 to 120 feet of water, and usually occur somewhere between the harbor and Twin Rocks/Bird Island area. 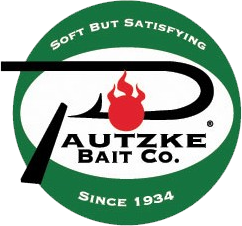 Price includes all bait and tackle and filleting and bagging of your catch. Price does not include fishing license. 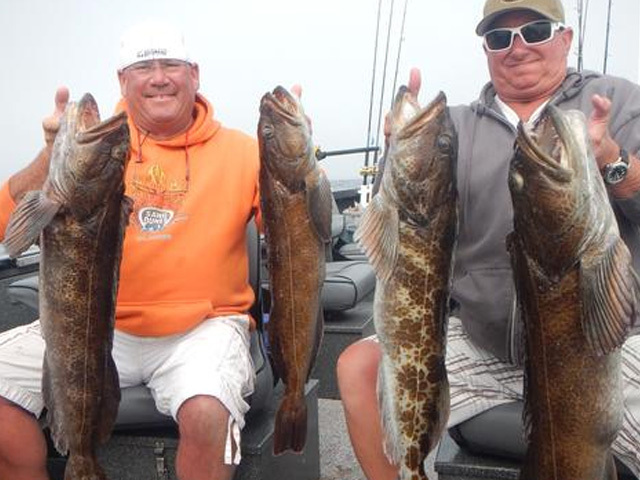 This is the best trip if you want to target lingcod. 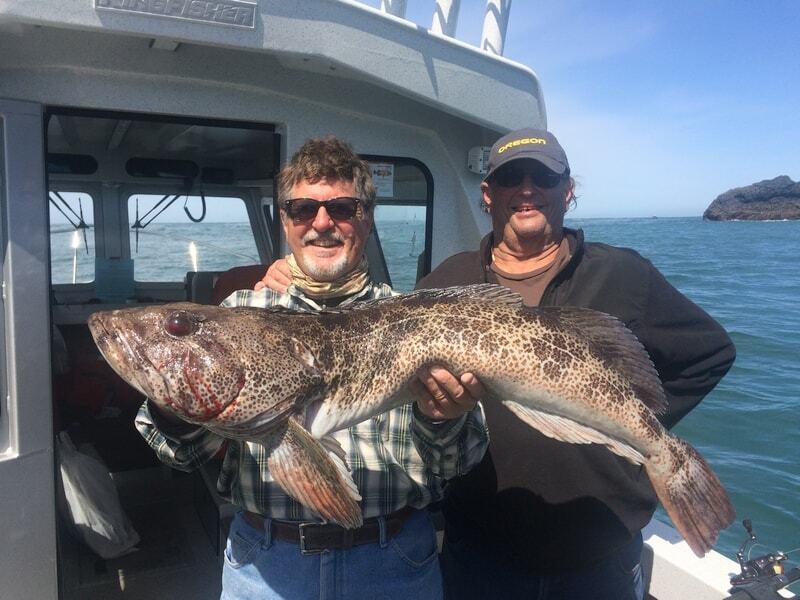 While we catch plenty of lingcod on our half-day ocean bottom fishing trips, this 6-hour trip allows us to spend more time specifically targeting lingcod with a higher likelihood of limits of lingcod. 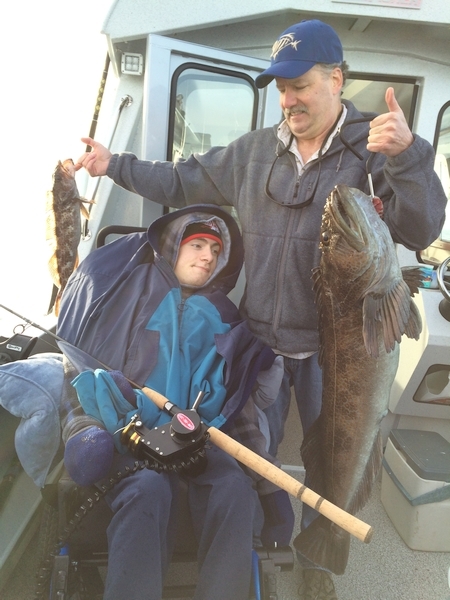 We use large jigs or whole baits that lingcod have a difficult time resisting. During this trip, we have light spinning rods rigged up for catching rockfish, and another set of rods with slightly heavier gear rigged specially for lingcod. 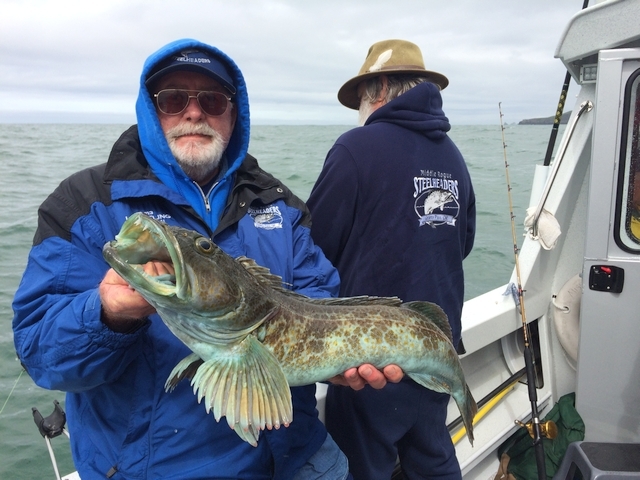 While all of the Brookings-based charter boats offer rockfish trips, this trip is the premier lingcod sportfishing trip out of Brookings. 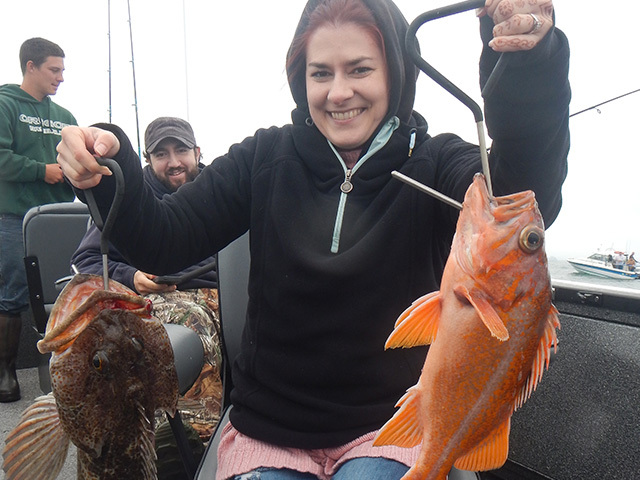 Aside from lingcod, we generally catch limits of Black, Blue, Canary, Vermilion, Copper and Quillback Rockfish during these trips. The 6-Hour Targeted Lingcod and Rockfish Trip takes place in 50 to 180 feet of water off the scenic Brookings coastline. This is the trip where will will fish as far north as Arch Rock and Mack Reef. Price includes all bait and tackle and filleting and bagging of your catch. Price does not include fishing license. This all-day trip is spent fishing deep water for halibut and returning to the shallow near-shore reefs to target lingcod and rockfish before heading back to port. 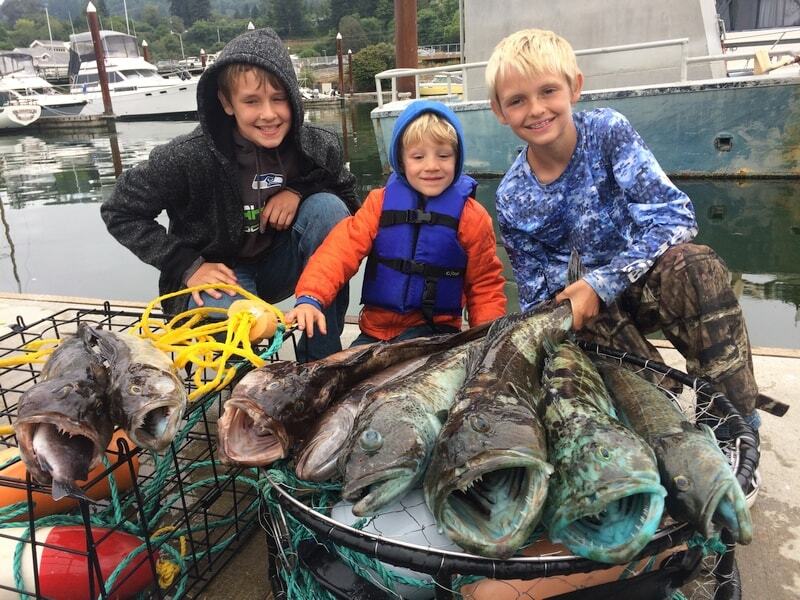 Although halibut fishing out of the Port of Brookings is not as consistent as further up the Oregon Coast, the grade of halibut is better than average, with fish to 50 pounds often caught and halibut over 80 pounds caught every season. We also catch sand dabs and other flatfish during this trips. Minimum of four anglers to book this trip. Price includes all bait and tackle and filleting and bagging of your catch. Price does not include fishing license. Lingcod are prized for their powerful fight as well as their excellent taste. They average 6 to 10 pounds, but fish over 20 pounds are common. 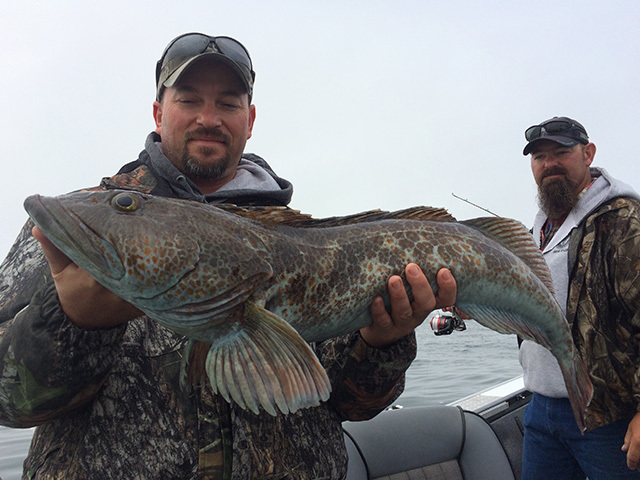 Lingcod have been known to reach more than 80 pounds. Abundant black rockfish are also known as snapper, sea bass and rockcod. Their firm white flesh is popular for fish and chips. Caught on light tackle, rockfish provide fast, exciting action for anglers of all skill levels. Rockfish run 1 to 6 pounds. 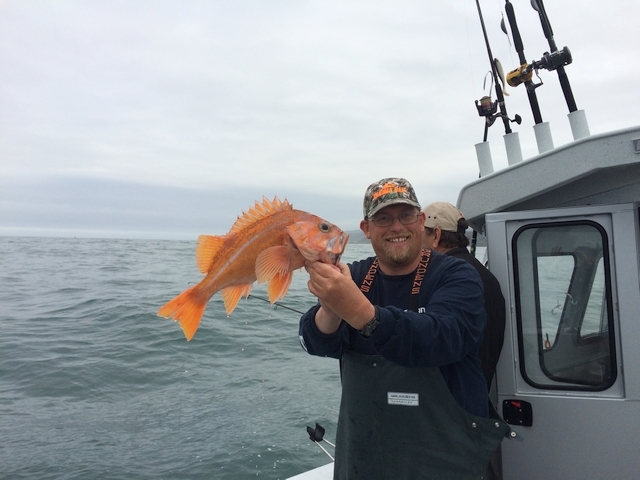 Colorful canary rockfish can be kept on the Oregon Coast and add variety to your trip, as you never know what you will reel in. Canaries run 1 to 8 pounds. While less common on the Southern Oregon Coast, halibut are occasionally caught out of Brookings. They average 25 to 30 pounds, but can reach sizes between 100 and 200 pounds. 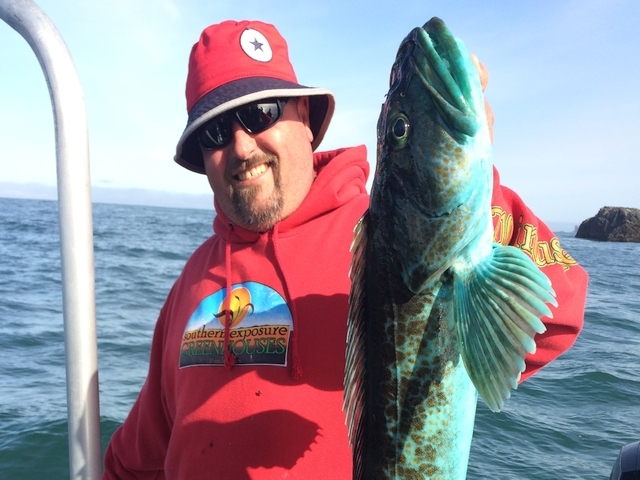 Rockfish and lingcod season is open year round. 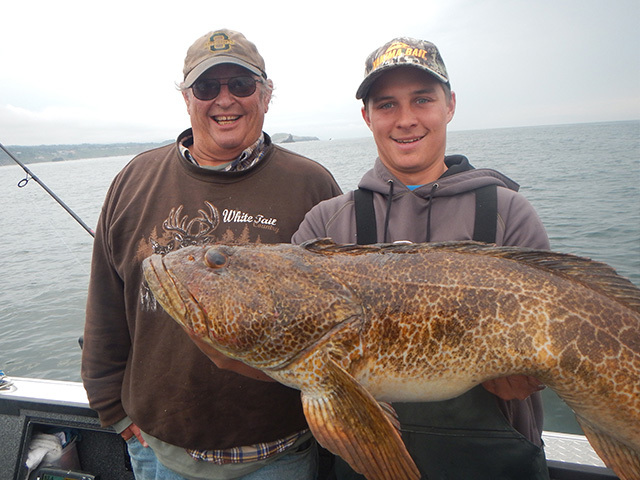 Anglers are allowed two lingcod at least 22 inches in length per day, and seven rockfish per day. One canary and three blues may be kept as part of the rockfish limit. Cabazon season begins July 1. Halibut season runs May 1-Oct. 31.